Non-native species are plants and animals that have found their way to our shores but don’t originate from Great Britain. Those that are classified as ‘invasive’ have a serious negative impact on our native British species. Some of these species are well known, some are not, and some are so familiar you may not realise they are not natives. Every year, invasive non-native species (INNS) cost the UK economy an estimated £1.8 billion. They are also the biggest threat to our biodiversity after habitat destruction. They range from tiny bugs in our rivers such as killer shrimp, to plants such as Japanese Knotweed. In our increasingly connected world, transport routes open up and these species can easily find themselves transported over by boat, plane or hitch hiking on a traveller. Once they are in, it’s part of our job to stop them spreading any further, and in some cases, eradicating them completely. INNS are easily spread by people and we all have a role to play in stopping the spread and protecting our local environment and economy. The steps to prevent the spread of INNS should be as common place as the steps to prevent the spread of the common cold. There are little things we can be doing everyday to stop INNS becoming more established and causing further harm to our environment. Following the steps of the ‘Check, Clean, Dry’ campaign whenever you go in to or on a watercourse. By following these steps anglers, boaters and canoeists can help prevent the spread of beasties between waterways. If we don’t take action to stop the spread of INNS they could crowd out and kill off native wildlife, damage riverbanks, buildings and flood defences and become so prolific on waterways that fishermen, boaters and anglers are unable to use them. Just like a disease, prevention is better than cure. The European Union released new regulations in January 2015 that seek to tackle the issue Europe-wide and stop any more species getting in. For those species that have made it, we are looking at radical new ways to try to suppress and in some cases, reverse the spread. One of these ways is introducing biological control agents. These are the natural predators of the INNS that come from their country of origin. All biological control releases are thoroughly tested before release and require a government licence beforehand. One such control we have recently introduced is the psyllid bug. A native of Japan, this bug feeds on Japanese Knotweed but doesn’t impact on our local flora. CABI, a scientific organisation and European experts on biological control, has also released a rust fungus to control Himalayan balsam. In some areas, we are starting to see how our work is having a big impact. Topmouth gudgeon is a fish native to Asia that has popped up in British waters. It can out-compete other fish for food and habitat, and may harbour diseases and parasites that are potentially deadly to our native species. We have been carrying out work to eradicate them and from the 23 sites where topmouth gudgeon has been found, 18 are now clear of the little blighter. 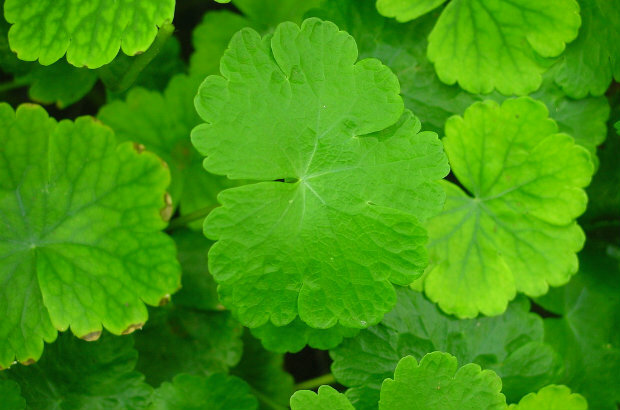 Typo: flower name in image caption should be "Floating Pennywort"